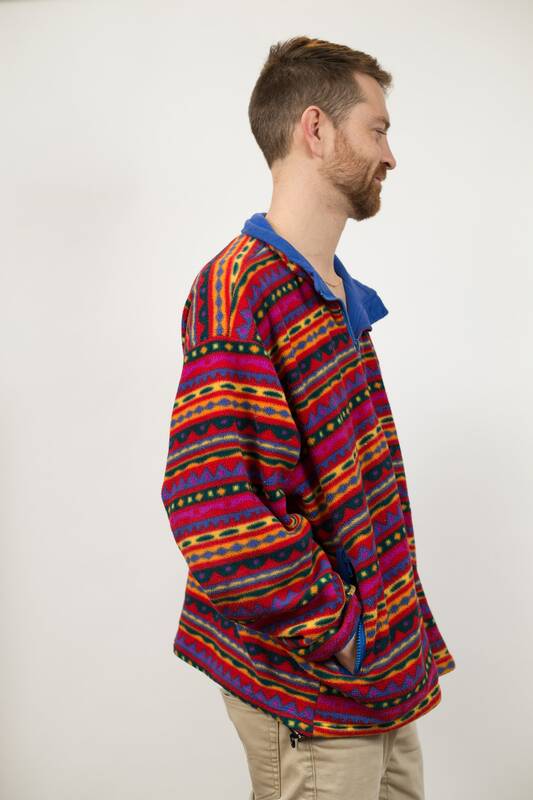 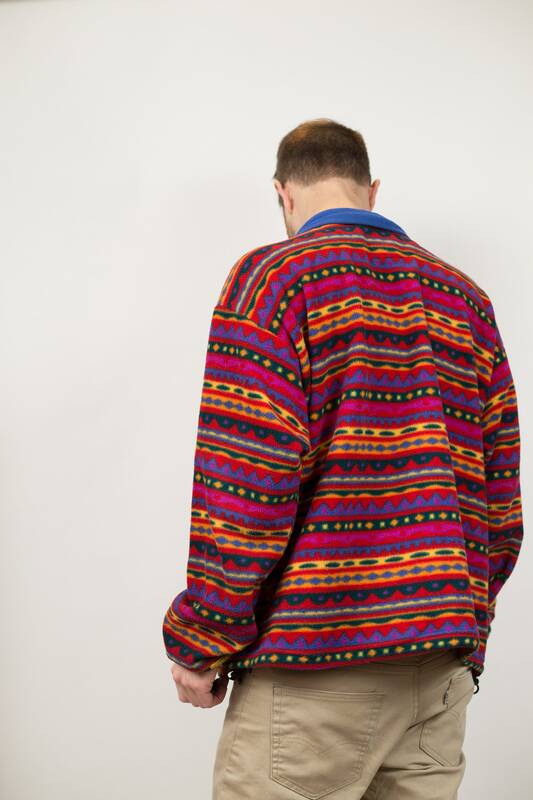 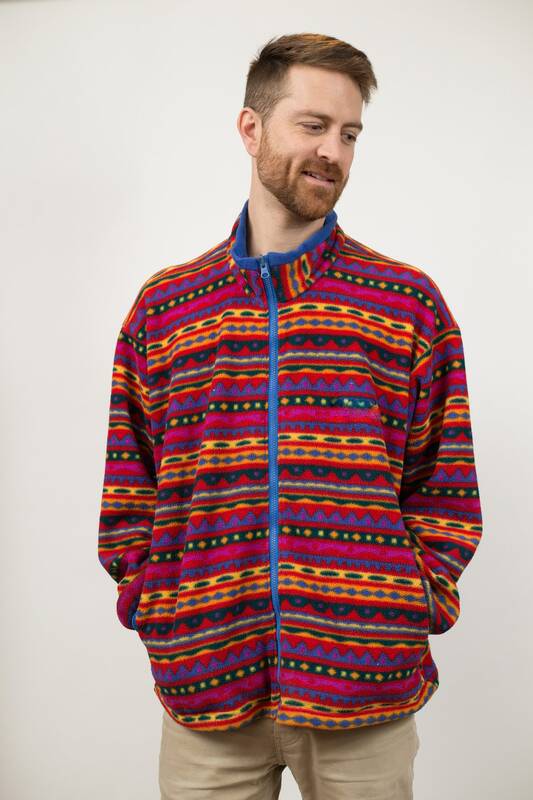 This is a bright and colourful vintage geometric rainbow rainbow fleece. 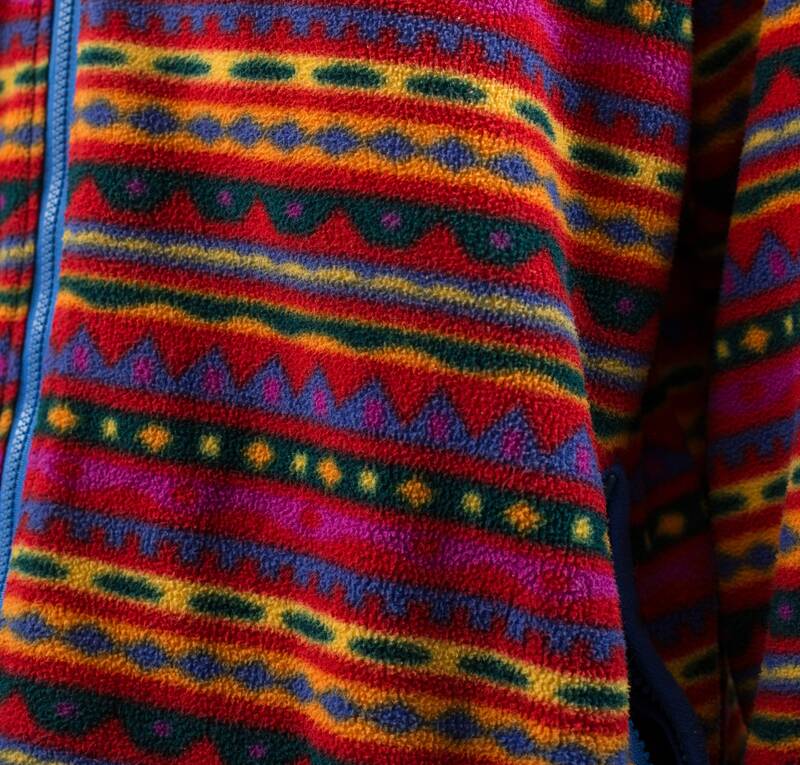 Zipper at front. 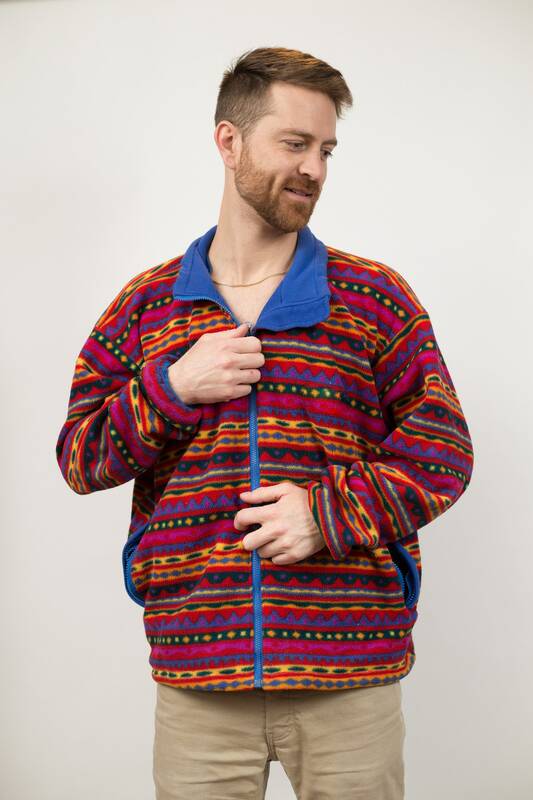 Waist pockets zip up. 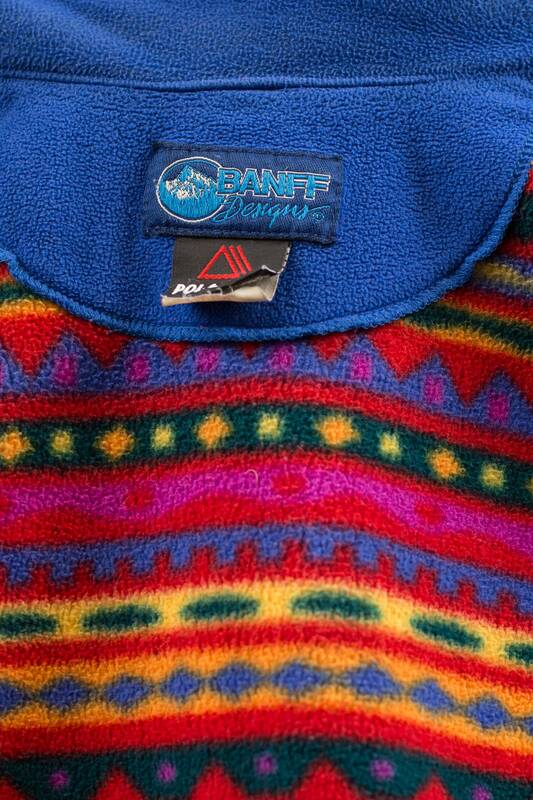 Brand: Polartec / Banff Designs. 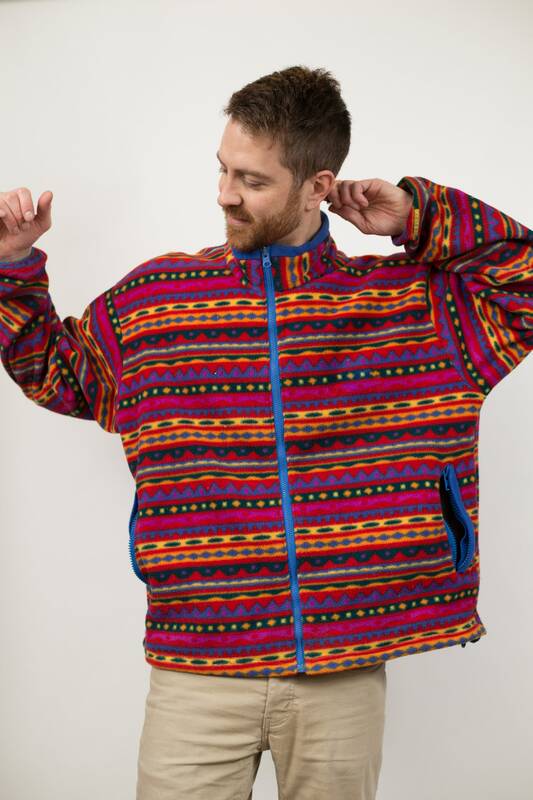 Fits Like: XL (Model wears medium and is 5”11).